Are you looking for Indian Hindi film poster ? your search ended at Bollywood posters studio. Contact us on mobile no. +919022034923 / +917666866256 or MAIL US ON: bollywoodpostersstudio@gmail.com These Indian Hindi film posters are of museum quality hand painted by last few remaining old Indian Hindi film poster artist for sale !!! 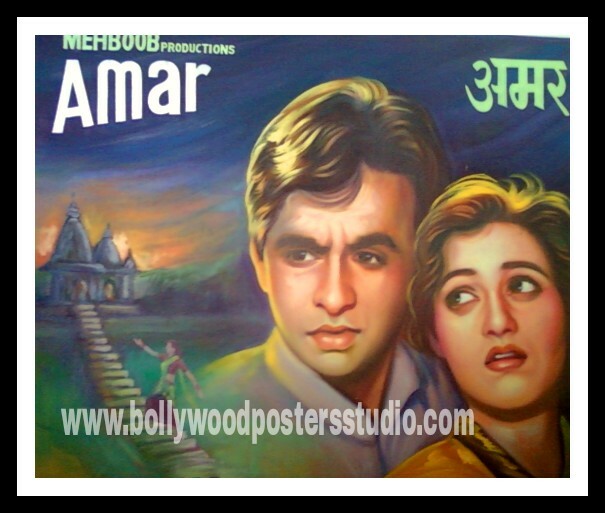 Few decades ago these hand painted Indian Hindi film posters were used as film’s publicity. Indian Hindi film posters are displayed in art festivals all over the world. The lost art of old Indian Hindi film poster made a come back.